Cambridge United have bolstered their coaching staff with the arrival of assistant coach Alan Neilson. 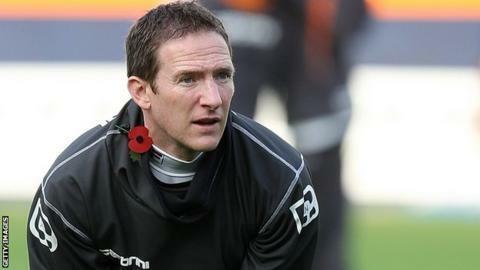 The former Wales defender's last role was at Luton, where he worked under U's boss Richard Money as assistant manager between 2009 and 2010. "He brings a wealth of experience," said Cambridge director Jez George. "We have been running with a minimal number of staff in our football operation for some time and this is the right time to make this appointment. " Neilson started his playing career as a trainee at Newcastle, before spells at Southampton, Fulham and Luton. In 2008 the 41-year-old moved into coaching, starting at Luton, initially as a youth development coach. In five years at Kenilworth Road Neilson was asked to take on the role of caretaker manager three times, but left in July after the arrival of manager John Still. "He is a real football man and Richard has worked with him previously," said George. "Alan will fit in perfectly within our structure and will add value to our existing staff, particularly in assisting Richard on the training ground."